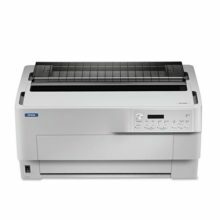 Why the Epson Aculaser M4000N? 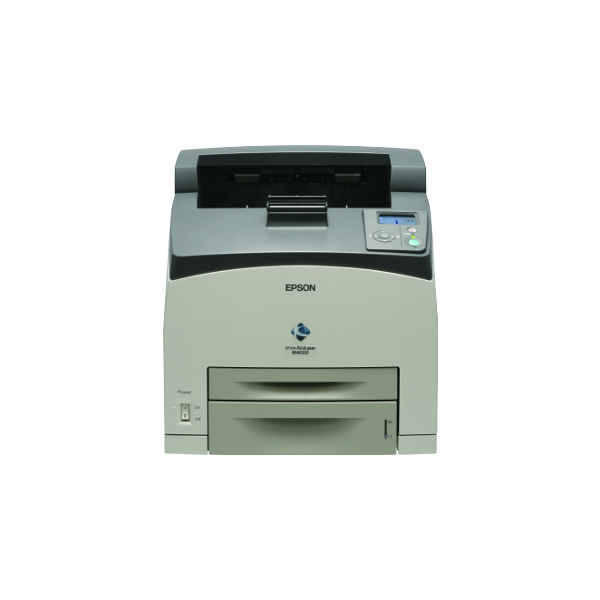 The Epson AcuLaser™ M4000N assures relentless performance that lives up to the demanding expectations of the busy work environment, churning out up to 43ppm. Wait no longer than you have to – with a warm-up time of 17 seconds and First Page Out Time in just 7.9 seconds. With an optional duplex unit, print 100 PDF pages in just less than two minutes! Professional true resolution of a splendid 1200dpi print resolution is maintained always, even at full speed. Ready to take on high volume intensive printing jobs as and when required, this is the answer for tight printing schedules with a high monthly print volume of 200,000 pages per month. Able to support continuous heavy-duty printing up to an average of 6,666 pages a day, Epson AcuLaser™ M4000N is a versatile network printer with a muscle. 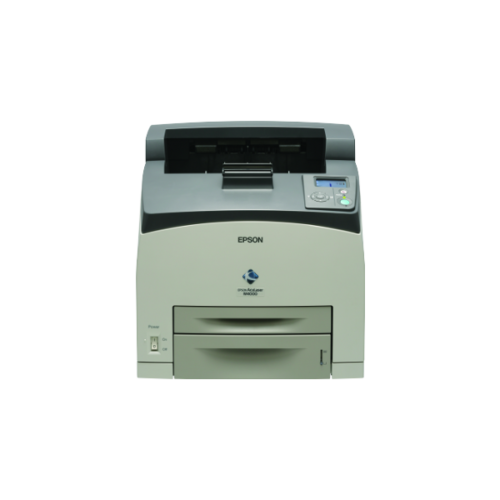 With built-in Standard EpsonNet 10/100 Base TX Ethernet, high-speed USB, parallel interface and an optional Type B interface and an optional Type B interface, the printer integrates seamlessly into varied network environments. Eliminating the need for additional hardware like adaptors and print server hubs, significant cost savings are achieved. 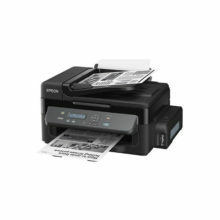 Ideal for growing organizations, the printer is designed with expandable capabilities for cost-efficient hardware upgrades to meet additional demands. Re-print & Stored jobs – Stores the current job, so that users can choose to retrieve and reprint it later through access on the printer’s control panel. This allows commonly used documents to be access by anyone via the printer without taking up memory in different users’ PC. Verify jobs – Automatically prints one copy to allow users to verify the content, before printing multiple copies. Conveniently equipped with two paper trays, the printer houses up to 550 sheets of A4 paper for volume printing, and holds envelopes or special paper such as forms and letterheads in another 150-sheet tray. For heavy usage and to save precious time and effort, it is possible to add on up to 2 more 550-sheet paper cassettes, yielding up to 1,800 sheets without a need to reload. An optional paper stacker can be added to the printer, should frequent sorting be required. 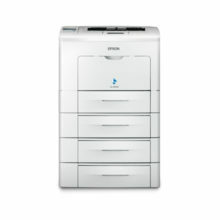 Fit in an optional duplex unit to automatically allow printing on both sides of the paper, saving both time and money. Not only is it easy to operate and maintain, a large LCD screen provides graphical help support whenever necessary. Bookmark menus allow frequently used basic functions to be accessed at the push of a button. Maintenance is kept simple and minimal with just two high-yield replaceable supplies – a toner cartridge capable of 20,000 prints, and an extended life fuser unit of 200,000 prints. The Epson AcuLaser™ M4000N uses Epson AcuBrite™ toners which ensures uniformed toner particles and wax distribution giving you consistently rich image quality that impresses. Through this unique printing technology, you get superb clarity with high sharpness and outstanding crisp, bold black text that last. Be part of Epson’s Return Toner Program and contribute a part in saving the environment. Enjoy high quality and fast prints with a smaller carbon footprint by returning the empty cartridges from Epson AcuLaser™ M4000N for recycling. Note: In some areas, Return imaging cartridge isn’t available. Kindly check with local Epson office about availability of Return imaging cartridge.